Cool white sand beaches, crystal clear turquoise blue waters, countless species of wildlife and marine life might be some of the incredible reasons that you've chosen to vacation in Cancun or the Riviera Maya. But in order to keep this amazing environment alive and thriving we need to take care of it. Even if you are only here for a quick trip you can have a huge impact on this habitat. We've created a list of tips for you to enjoy and environmentally friendly vacation. 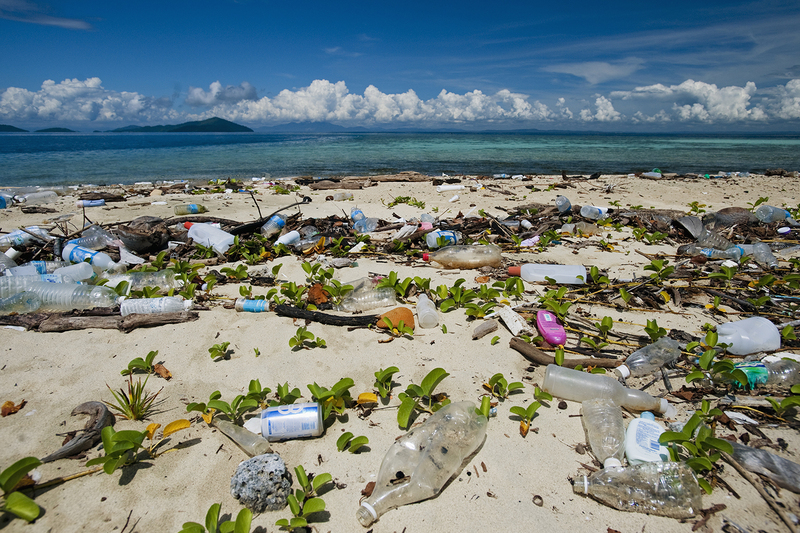 Did you know that each year more than 8 million tons of plastic are dumped into our oceans? While you may not be able to make a huge impact during your vacation you can join the #sinpopote movement that is common practice on most beaches now. This movement is a small step that can have big rewards in the future. 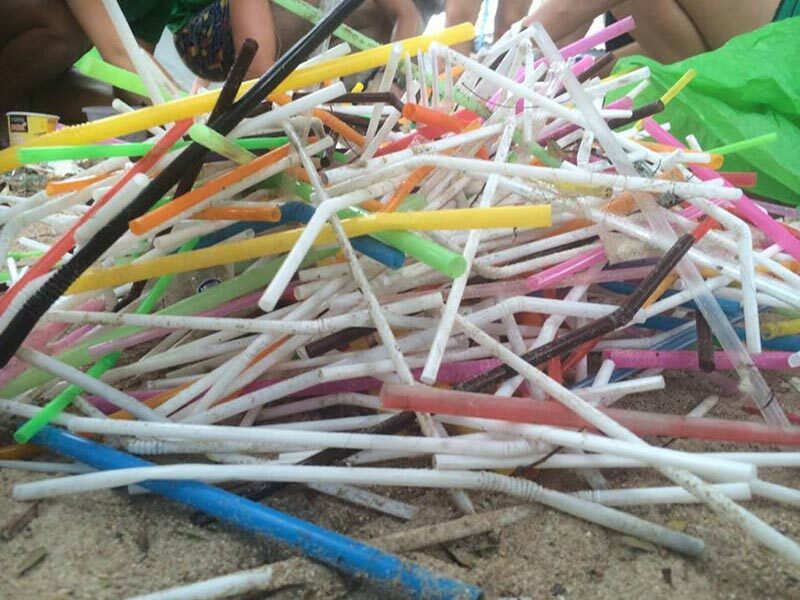 Many beach clubs and vendors now won't serve you drinks with a straw to try to reduce the amount of plastic waste in the oceans. While not all beach clubs and resorts have jumped on board, many are taking the proper steps moving forward. What can you do? Simple, order all of your drinks without a straw. Public beaches are a great place to spend the day soaking up the sun and taking a dip in the ocean with friends. And what would a perfect beach day be with out a picnic and some drinks? Public beaches are equipped with trash cans that are seperated typically by organic, non-organic, plastics, etc. but you may not want to trek all the way to the nearest garbage can to dispose of your trash. Most people will try to keep the garbage close to them throughout the day and then dispose of everything before they leave. The problem with this is that beaches are very windy and that garbage may be blown away and taken out to sea. What can you do? Bring your own garbage bag or sack with you to avoid garbage being blown away and that can easily be disposed of at the end of your stay. The second largest barrier reef calls the Mexican Caribbean home and boasts beautiful colors of corals as well as many species of fish and marine life. Snorkeling is one of the must-do's in the Mexican Caribbean and we want you to be able to appreciate it for all of it's beauty and learn as much as you can during your vacation. But while toxic sunscreens and sunblocks may protect you from the sun, they can bleach the barrier reef and cause irreversible damage. What can you do? Bring non-toxic sunscreen with you on your vacation or find out where you can buy some once you arrive. This one may sound a bit weird. "But I came on vacation to get away from home and to enjoy everything that resort life has to offer" you may be saying. 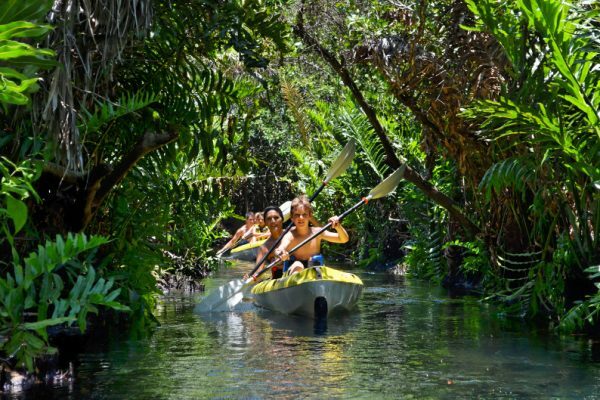 We want you to enjoy your vacation to the fullest on and off the resort; And while we've given you some great tips to follow while your out exploring we would ask you consider to treat the resort like your home to have an eco-friendly stay. What can you do? Re-using towels, turning off lights and electronics when you are not using them or not in the room, don't take long showers, and if you are in control of the A/C in your unit then only use it when needed. These small steps will help you, and the resort, decrease the carbon footprint and impact on the environment. Hopefully you've found the tips both helpful and doable for your next vacation to Cancun and the Riviera Maya. If you are looking to take your eco-friendly vacation one step further, then consider staying at Hacienda Tres Rios, a luxurious eco-friendly resort located in the Riviera Maya. If you're ready to start planning your vacation now, then click here!